Ahhhh, the American summer. Does it get much better than sitting in the sun with a good book to read, a cold Coca-Cola in your hands, and a view of the sea in front of you? We think not. However, those who don’t live by the sea will know just how irritating it is when people say things like that last sentence (oops, sorry). However, we think it’s about time you packed up your car, filled up your tank, and took a trip across America to check out some of the most beautiful beaches this wonderful country has to offer. We won’t take no for an answer! California is famous for its beaches, and it’s really hard to single them out because they’re just that good! However, if we had to pick, the Coronado Beach in San Diego is one of the coolest beaches in the state. With year-round sun and hot temperatures, it’s the perfect place to just go and chill on your day off. As if that wasn’t cool enough, the surf here is unlike any other beach around. So, grab your board and ride the waves – and then dry off on the sand after! Have you ever wanted to chill out on a private island? The Caladesi Island State Park gives you that opportunity. Visitors can access the golden sands through a shuttle ferry, or you could even walk it if you’re feeling particularly energetic that day – and the end result will truly blow you away. For a minute you’ll forget that you’re in the United States and think that you’ve been transported Down Under. However, we can confirm that you will just be in Florida! A very beautiful part of Florida. If you’re the kind of person that likes to go to the beach and get active, the Beachwalker Park in Kiawah Island will be for you. Although it’s not the kind of place you’ll want to sit and sunbathe, this beach is a haven for water sports enthusiasts and nature lovers. In fact, you might even be able to incorporate the two! Why not grab your paddle board and float atop the beautiful water while looking out for rare birds and wildlife? I mean, you don’t get much better than that. You know the screensavers that don’t look real? Well, the Hapuna Beach State Park beach is basically one of those. 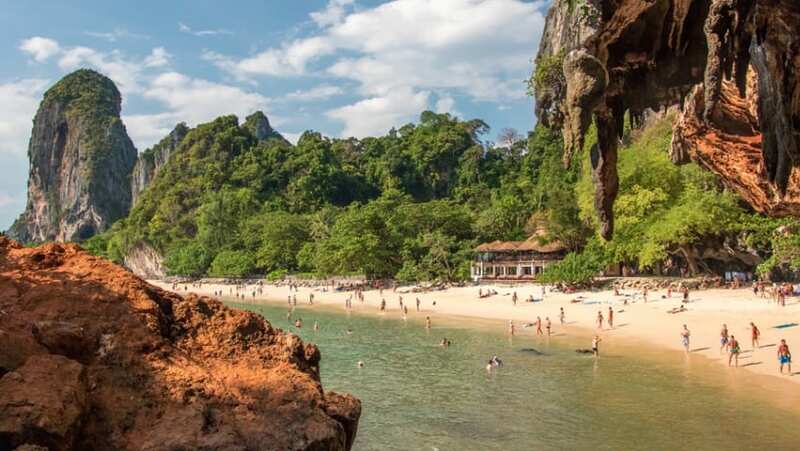 To look at, this beach just doesn’t look like it really exists, and you might be wondering if you’re hallucinating. Yet, we can confirm that the beautiful golden sand that is in front of you is not just a figment of your imagination. With the green backdrop, the palm trees, the crystal clear waters and the blue eyes, you will get a true taste of Hawaiian life… and we want seconds. When you think of New York, you probably think of the Big Apple with its bright lights and bustling streets. Because of this, many people forget that New York is a whole state with little towns, villages, and beaches. One of the best beaches in New York has to be Coopers Beach in Southampton. With incredible dunes, luscious beach grass and rocking waves, this beach is the perfect haven for checking out the surf or just enjoying the sun. Are you looking to check out what beaches America has to offer this summer? Well, look no further, because we’ve got your back!